16thc Bronze Mortar . Dutch. Dated 1580. 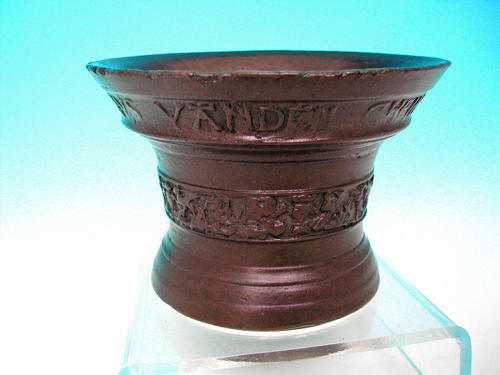 A rare survival from the 16thc, medium sized Bronze Mortar, cast decorated band around the centre, with founders or owners name Petrvs Vanden cast with the date 1580 around the top....wonderful!